It's been a while since we released a chapter of "Bread & Butter". I'm sorry it took so long, but the first half of this chapter was quite a hurdle because there was a lot repetition of previous chapters. Thanks to Jade for her wonderful translation and thanks to Suzume for lettering the chapter. We will continue this series at least through this arc, and then we will look at continuing the series again. 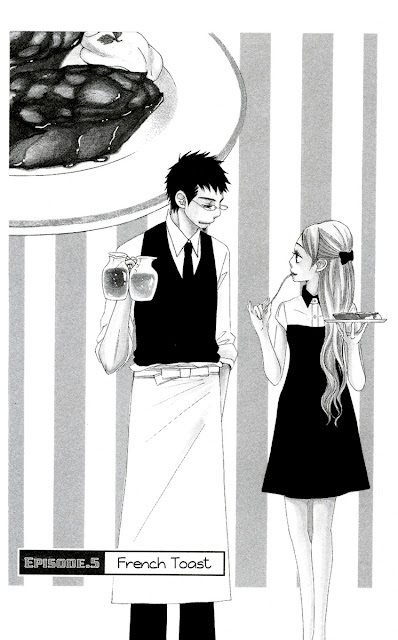 I think I'll save writing a longer blog post on Lovely Manga until later. I don't have much to say about this chapter because it feels like a set up. It's been a long time since we debuted a new series. The second chapter of this series caught my attention with its bold color pages. I went back to find the first chapter and was delighted even more. This is a sports shoujo where the female protagonist actually does the sport, which is unusual to find these days. Most of the shoujos involving sports now are about girls having relationships with sporty boys. Kota is newish to me. I've read a couple of Kota's oneshots (not scanlated yet, but we will), and they deal with challenging gender stereotypes and roles. This series is no different. The sport in this series is soccer. American are gonna think it's weird that soccer is characterized as manly, since in the US soccer is okay for boys until a certain age, but ultimately soccer ends up being dominated by females after elementary school. If I'm not mistaken, the US is unique in this view of soccer. Just as an aside, sporty boys in the US usually go on to play American Football, Basketball, or Baseball in Junior High rather than continuing in soccer. I imagine girls continue on in soccer because it's one of the few team sports they can be in. 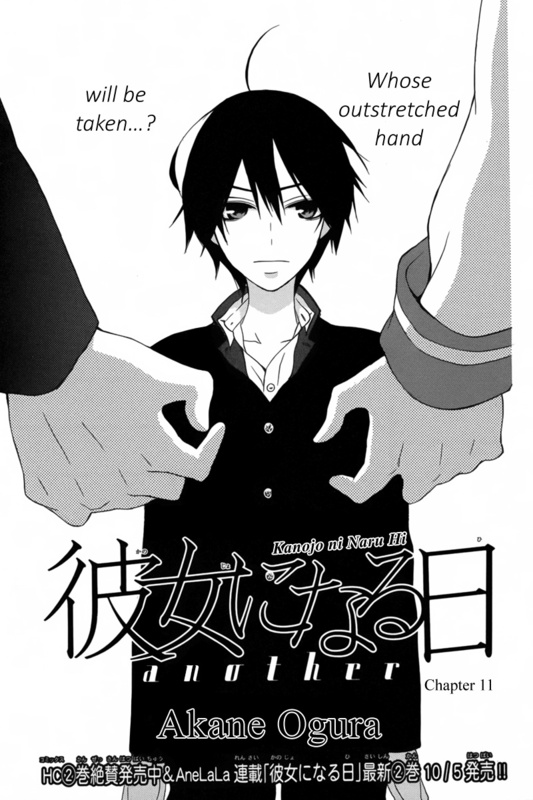 As usual, I posted my thoughts on this chapter on Lovely Manga Blog (LINK). However, as long as you don't spoil, please leave some feedback on the series in the comments here. "Seiten Kickoff" runs in The Hana to Yume which is quarterly publication, in other words new chapters come out every three months. I have the second chapter, which we are currently working on. After that, the next chapter won't come out in Japan until the end of October. And now, onto the release! I'm not gonna lie; last year's Halloween oneshot party was a complete flop. Either the stories were too lame or too scary and gorey. The "Friend Doll" anthology from Betsufure and "Urban Legends" anthology from Mystery Bonita stories were too lame and the zombie oneshots from the Lala family of magazines fell under too gory. I promise not to do anymore stories from shoujo "horror" anthologies. I thought the campiness would be fun, but the rest of the group didn't agree and neither did the readers. 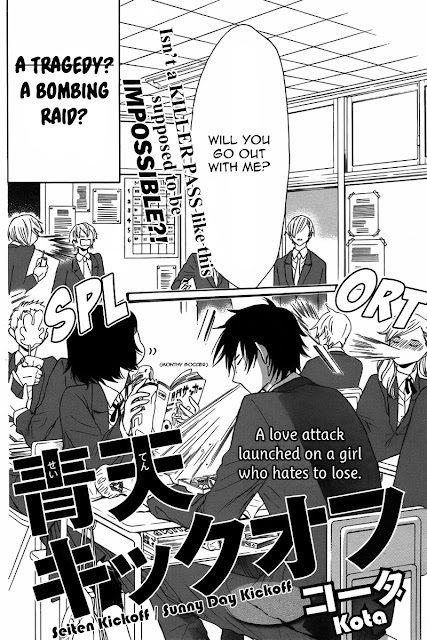 However, I cannot resist zombie shoujo, so if some pop up again, I will translate them unless the story is horrible. However I will post them to Bakeneko's Lair so as not to offend sensitive readers. Regardless, 2014 was a great learning experience. I now know the readers of this blog don't like camp and at that scary and gory oneshots are very polarizing. 2015 hasn't supplied me with any Halloween worthy oneshots yet. Fortunately I have a huge stock pile of various oneshots and short series that I've been saving future Halloweens. This year I will focus on story rather than just throwing random stuff at the wall to see what sticks. What I have in mind will be a combination of warmhearted ghost tales, stories involving suspense, and some messed up stuff for Bakeneko's Lair. I'm going to start finalizing the list of oneshots this weekend so we can get started. If there are any artists you would like to see oneshots from, please leave suggestions in the comments. Also if there are suggestions about what kind of things you want to see in the stories, let me know. Yes, I can dredge up something about horrifying mermaids if you really want to read a story about such creatures. Here's a oneshot that was requested many times after I wrote about it on Twitter. This is another cute oneshot from Ai Kurimi! I love the character designs and costumes in this oneshot. 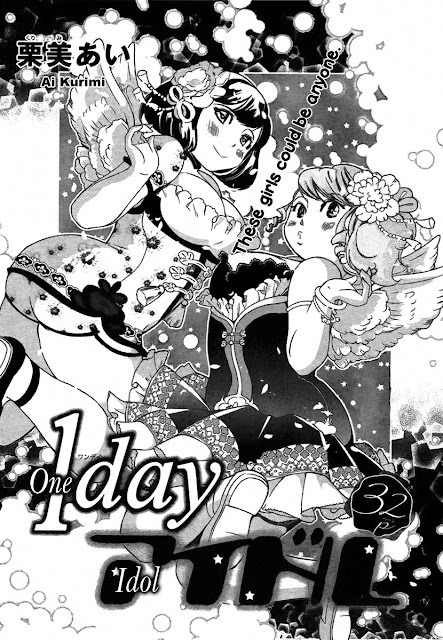 I enjoyed working on this oneshot a lot because Nozomi and Mahiro are so cute! And I always love good stories about friendship and people taking chances to fulfill their dreams.